Sea level anomaly extremes impact tropical Pacific islands, often with too little warning to mitigate risks. 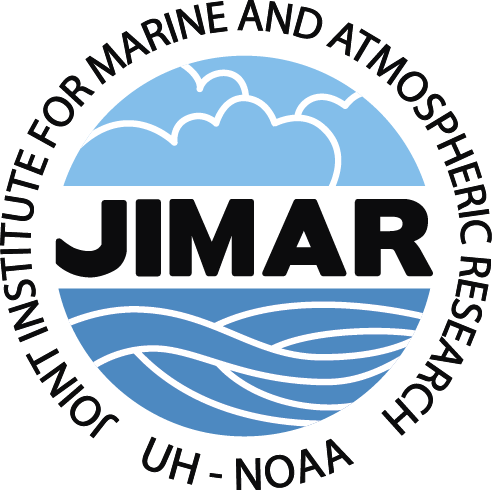 By compiling monthly sea level anomaly predictions from multiple statistical and dynamical (coupled ocean-atmosphere) models, which are typically skillful out to at least 6 months in the tropical Pacific, improved future outlooks are achieved. We deliver an experimental real-time forecast of monthly mean sea level anomalies and information that can be used to reduce impacts associated with sea level extremes. Figure. Hourly sea levels (cm) for Guam during October 2015. Tide predictions (blue) are based on harmonic analysis of the Apra Harbor sea level recorded during the National Tidal Datum Epoch (NTDE; 1983–2001) with the long-term trend removed. 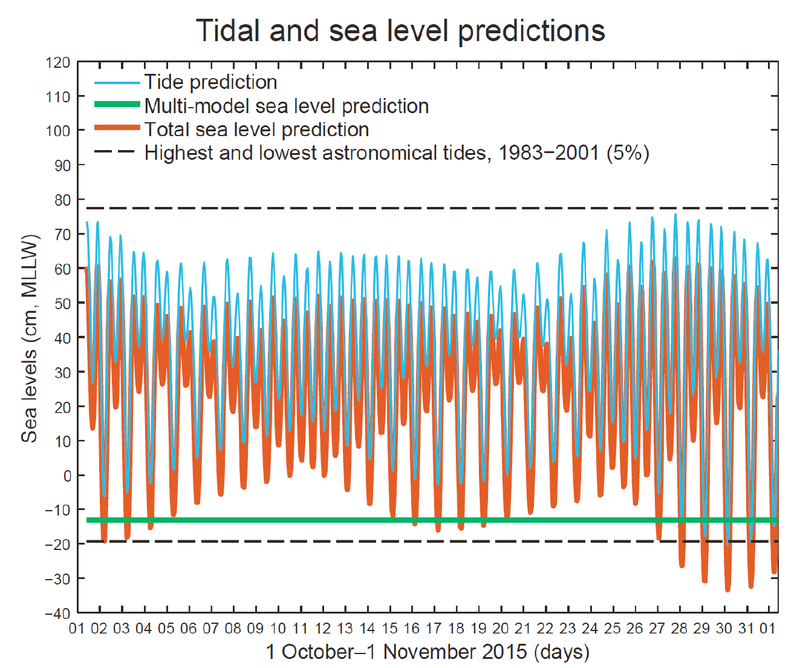 The total sea level prediction (orange) combines the expected tides with our multi-model mean sea level anomaly prediction (green) and the long-term trend (5 cm). For reference, the highest and lowest 5% of astronomical tides during NTDE are shown (dashed). Sea levels are with respect to the Mean Lower Low Water (MLLW) datum. Widlansky, M., J. Marra, M. Chowdhury, S. Stephens, E. Miles, N. Fauchereau, C. Spillman, G. Smith, G. Beard, and J. Wells (Early Online Release), Multi-model ensemble sea level forecasts for tropical Pacific islands. J. Appl. Meteor. Climatol., doi: 10.1175/JAMC-D-16-0284.1.